I was looking around for a short art project when I found my candles I had been using for pysanka. Inspired by other wax carvings of moai (the heads on Easter Island), I thought I'd give it a try. 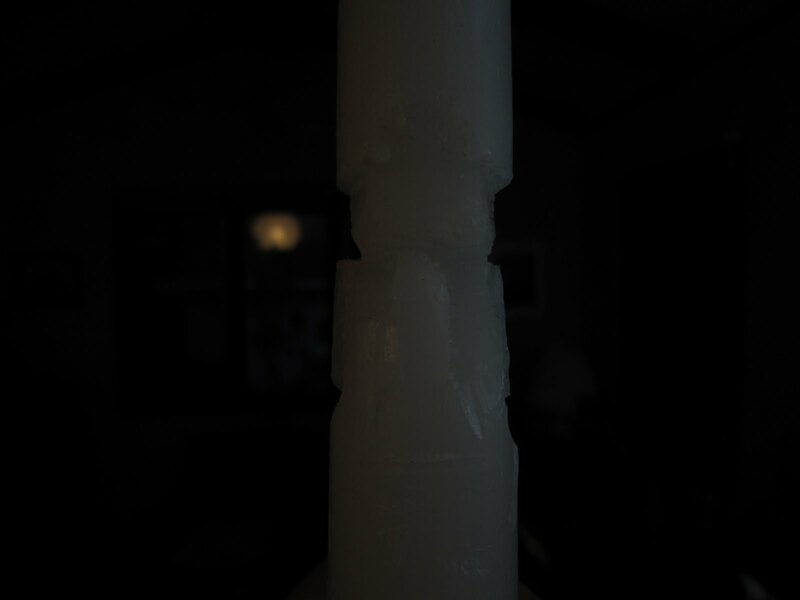 I used an Xacto knife to cut the candle. 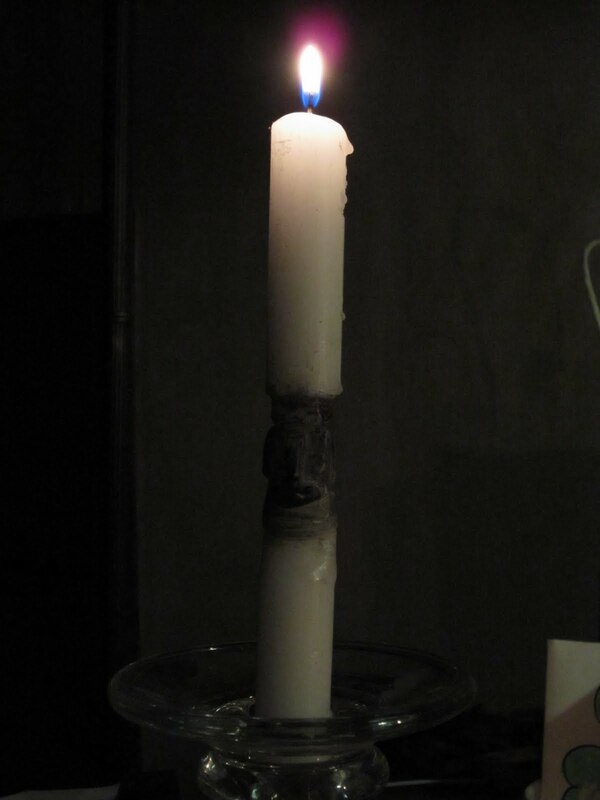 This turned out to be a great way to go, as candles are soft enough to easily cut through. I'm used to building sculptures, rather then carving them, so it did take a bit more thinking to figure out where exactly I should be cutting. After a bit of carving I realized that the nose of the piece would need to be protruding out from the rest of the candle, so I would need to build up the wax. 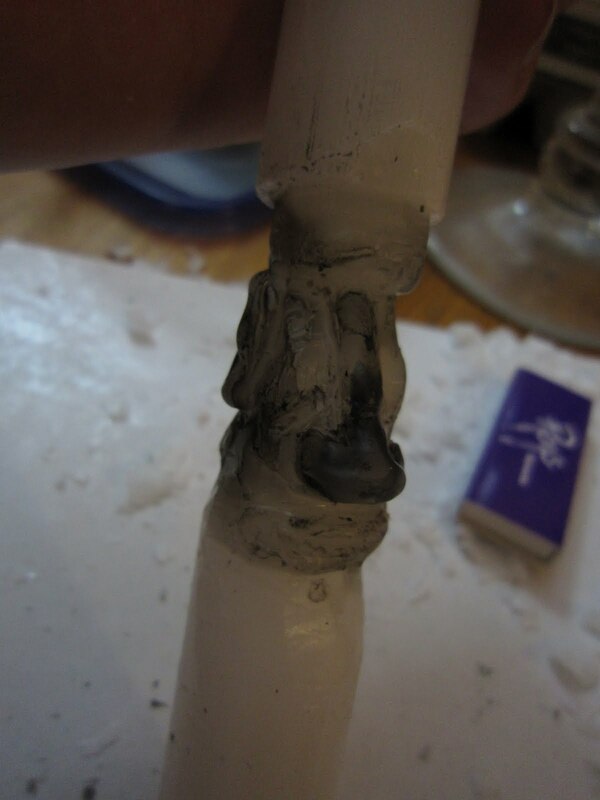 At first I thought about taking carved off pieces of wax, placing them on the nose, and melting them on. This turned out to not work at all. 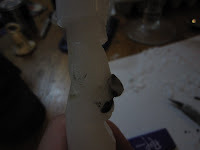 A better solution was to stab a piece of carved off wax with the knife, hold it over the flame, and drip wax onto whichever part I wanted to build onto. This soft wax could also be easily molded with my fingers (don't touch the wax too soon or you will get burned of course). I then had to find some way to make the whole thing black, or at least not translucent white, because it was impossible to see. Remembering working on pysanka, I figured the best way to dye the candle would be with...a candle. I tried out briefly holding the carved candle over the flame of another candle. 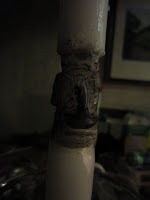 The wax melted a little, which actually helped round out the edges, and the soot from the flame turned it a bit black. I kept doing this until I felt the head was about as dark as it would get. Whenever I heated part of the head, I would hold that part face down while the wax cooled. 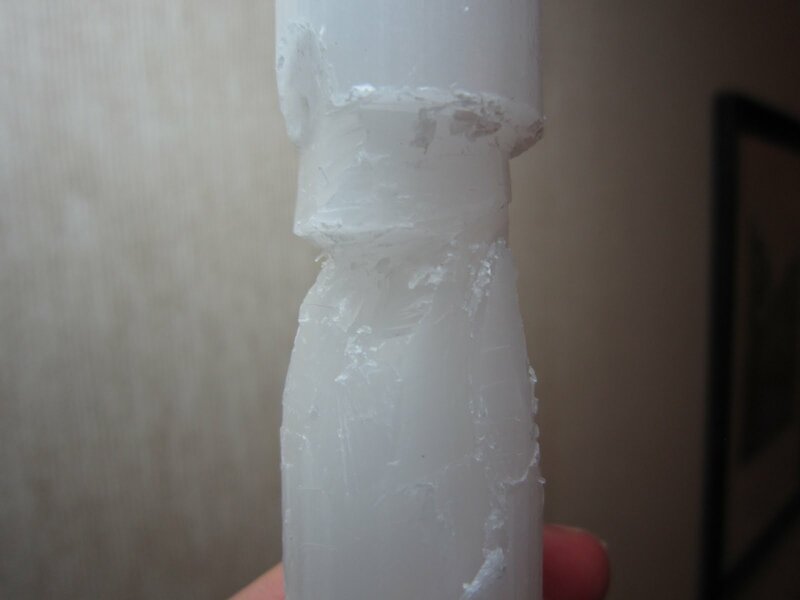 This way, the melted wax collected on the extremities of the part being heated, and so there was very little loss of shape. Finally, I rubbed the soot off of the part of the candle that I needed to stay white, and it was finished!